Before Halo, Bungie developed the Marathon Trilogy, with the first game launching in 1994. 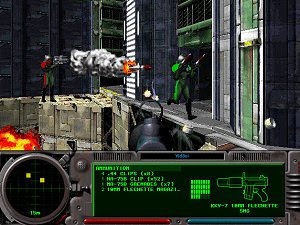 Composed by the games Marathon, Marathon 2: Durandal and Marathon: Infinity, the series received worldwide acclaim and was the inspiration for the classic we now know as Halo. The Marathon Trilogy is now available for free in an open source version for Linux, Mac and PC. The bundle contains an updated version of the engine, a fan remake of the first Marathon, and lovingly HD remastered versions of Marathon 2 and Marathon Infinity. The updated versions offer novel features such as online multiplayer and co-op mode, support for control pad and OpenGL shader.